The 2019 Rolex 24 at Daytona started out as a fantastic race. Wayne Taylor Racing, Whelen Engineering and the Mazda came were in a three way battle for the DPI and overall race lead at the front of the field. Christopher Bell turned turned his very first laps in a race car around I-44 Riverside Speedway. The track is a 1/5-mile dirt track that sits just outside of Oklahoma City, Oklahoma. NASCAR officials have postponed Sunday’s scheduled Monster Energy NASCAR Cup Series race and conclusion of the NASCAR Camping World Truck Series race at Martinsville Speedway to Monday following persistent snowfall throughout the night. The Monster Energy Series race at the historic .526-mile venue was slated to begin at 2 p.m. The impact of Hurricane Irma yielded only “minor and cosmetic” damage to Homestead-Miami Speedway, site of the championship races for all three NASCAR national series, according to track officials. What’s going to happened to our NASCAR track? Hurricane Irma is on the way. I wasn’t able to find a LIVE stream of the speedway itself. However, I’ve found many that are close to the track. View the Hurricane Irma Live Streams below. CONCORD, N.C. (Sept. 7, 2017) – In conjunction with preparations for the Sept. 15-17 NHRA Carolina Nationals, Charlotte Motor Speedway will open its Rock City Campground beginning at 7 a.m. Friday morning for evacuees heading north or inland from Hurricane Irma. Light poles and flag stands poke through the surface of water in Peoria, IL. Underwater is Peoria Speedway, a high-banked 1/4 mile dirt track. 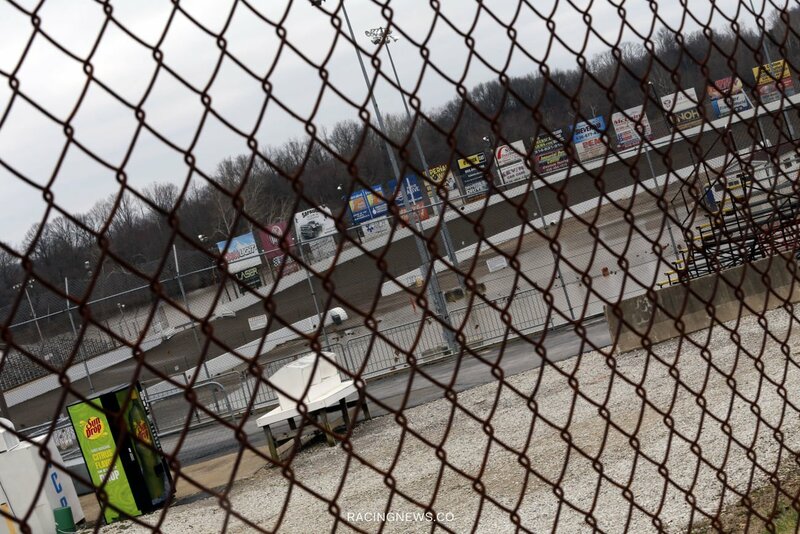 A collection of media below will showcase the current Peoria Speedway flood situation. Daytona International Speedway hit by Hurricane Matthew, as expected. All activities scheduled at the speedway for today have been canceled. Expected as 100mph winds have hit Daytona Beach and there’s sharks swimming in the streets. View photos and videos of storm damage at and near the speedway below.